Glenn Miller was the most successful of all big band leaders, to many a symbol of romance and the best of times. Miller was born on March 1, 1904 in Clarinda, Iowa. His family moved steadily westward during his childhood, first to Nebraska, and then to Fort Morgan, Colorado. Miller studied music during high school, and soon after graduation in 1921, he took his first professional job in the Denver area with Boyd Senter’s popular orchestra. He then enrolled at the University of Colorado, where he spent time his outside of class playing in fellow student Holly Moyer’s band. He left college in 1923 and joined Ben Pollack’s band, eventually going to New York where he married his college sweetheart, Helen Burger. He finally decided to launch his own band in January of 1937. He disbanded it, discouraged and in debt, and then tried again the following year with the players he wanted. Miller’s “Little Brown Jug,” “In the Mood” and his signature, “Moonlight Serenade,” played from juke boxes and radios across the country. By the fall of 1939, the Glenn Miller Orchestra had become the nation’s hottest attraction. “Tuxedo Junction” and “A String of Pearls” reached No. 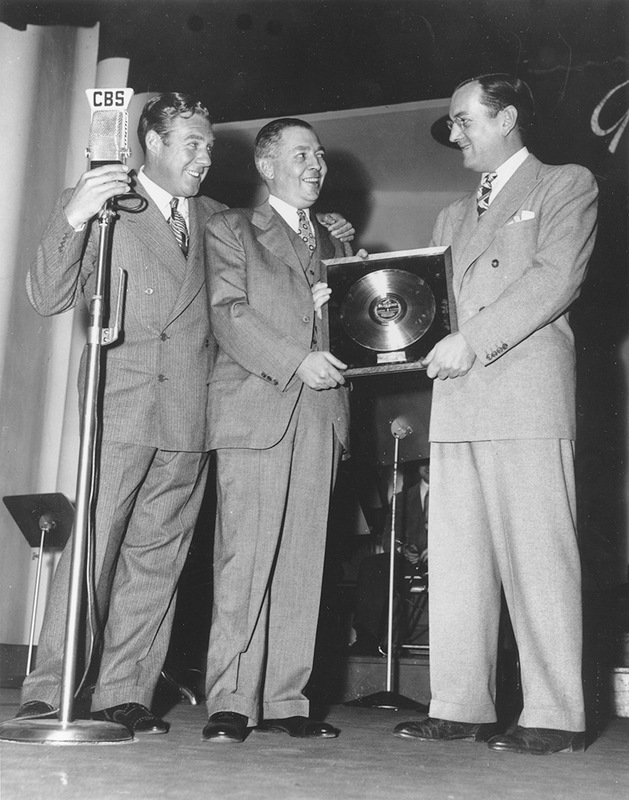 1 on the top-sellers chart, and Miller was awarded the first-ever gold record for selling more than one million copies of “Chattanooga Choo-Choo.” With the onset of World War II, Miller was determined to take part in the war effort. Entering the army, he molded the nation’s most popular service band. On December 15, 1944, the small plane carrying Major Miller disappeared over the English Channel, ending a brilliant and influential career in American popular music.